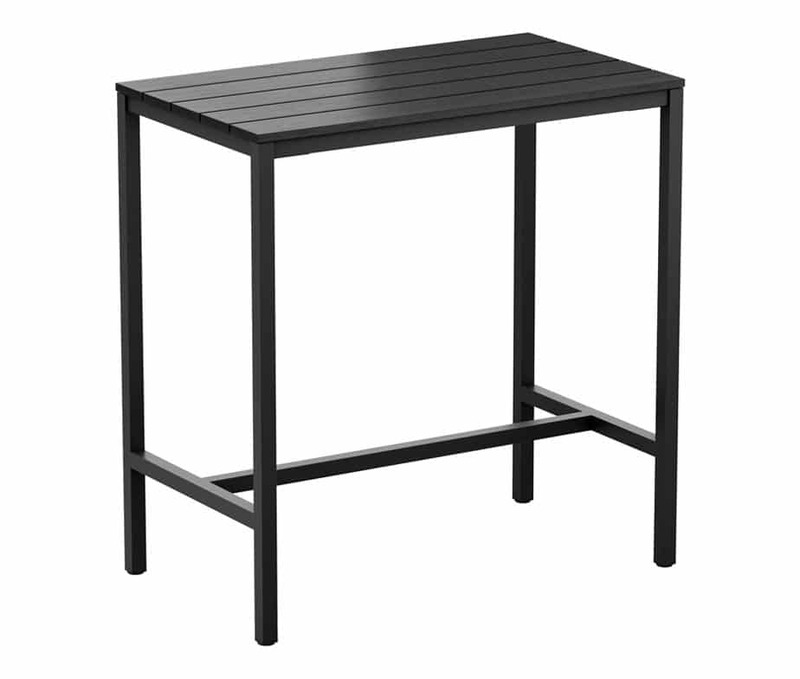 The Carter Rectangular Poseur Table has the look of a smooth operator. 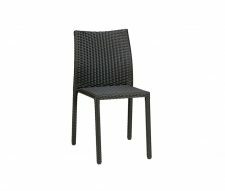 The deep black finish and clean, neat lines of the styling definitely mark this out as outdoor furniture with class. 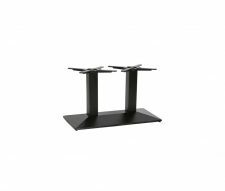 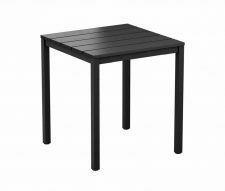 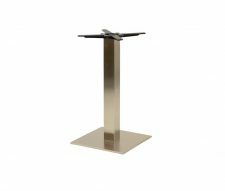 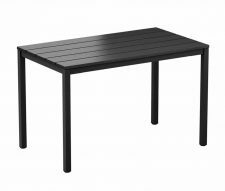 As a poseur table, this is ideal for use a high accompaniment to tall chair and bar stools in an outdoor environment. 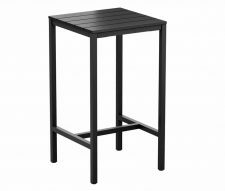 However, it also works just as well as a standalone piece for customers to rest a drink on as they chat and enjoy the weather. 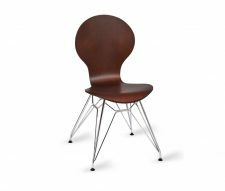 Speak to our friendly, expert sales team today to order a delivery direct to your business premises.